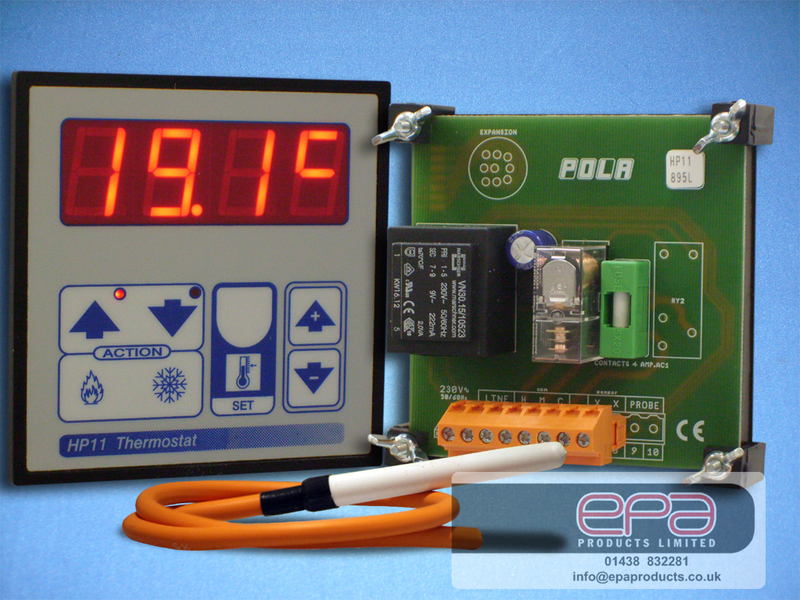 Temperature sensor (SX ntc thermistor type) is included working temperature range -50°C to115°C or -58°F to 239°F. Example of use: control of the Heating or Cooling. 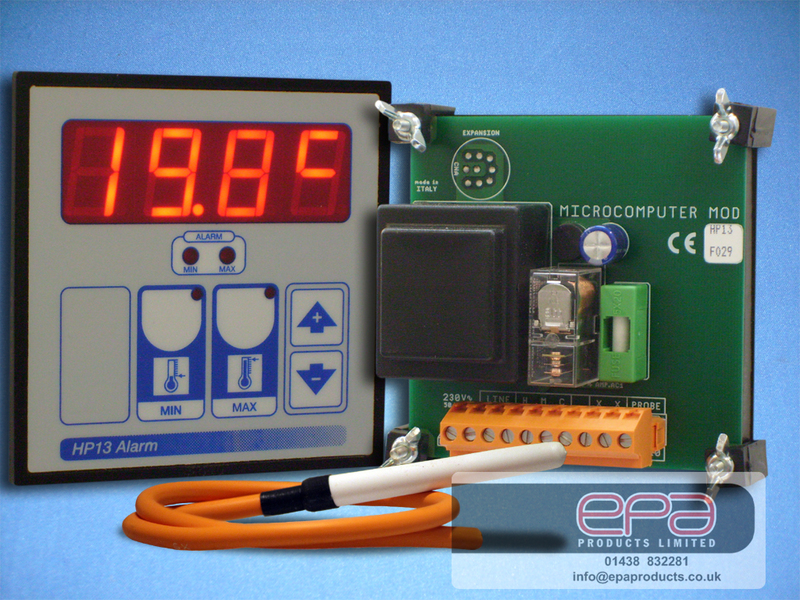 Very easy to set up and its large 20mm display makes for easy reading by the user. Example of use: control of the Two Zone Heating or Cooling and two Stage Ventilation. This is a multifunction, programmable timer typically used for the precise control of minimum ventilation. 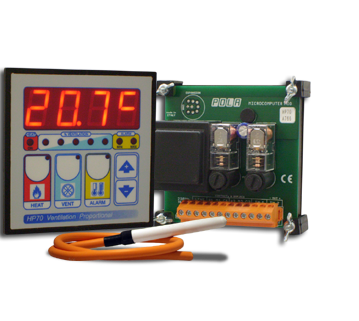 It is possible to ‘start’ and ‘stop’ the unit by remote operation and has up to 4 selectable time ranges. Timer settings from 0.1 seconds to 520 minutes. This unit Monitors temperature in one zone using a single remote sensor and controls inlet drive motor’s position across a user changeable bandwidth (requires the use of a feedback potentiometer). This is a four Stage Ventilation Thermostat to control fans over 4 sequential stages. 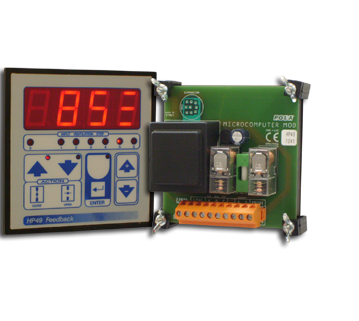 Inbuilt cycle timer operating on first stage provides minimum ventilation with easily adjustable on and off times adjusted Seconds. Example of use: control of heater differential below ventilation fan control suited to new installations and simple upgrades of existing 4 stage capillary thermostat systems. Temperature monitoring with alarms, Alerts user when it is too hot or too cold. 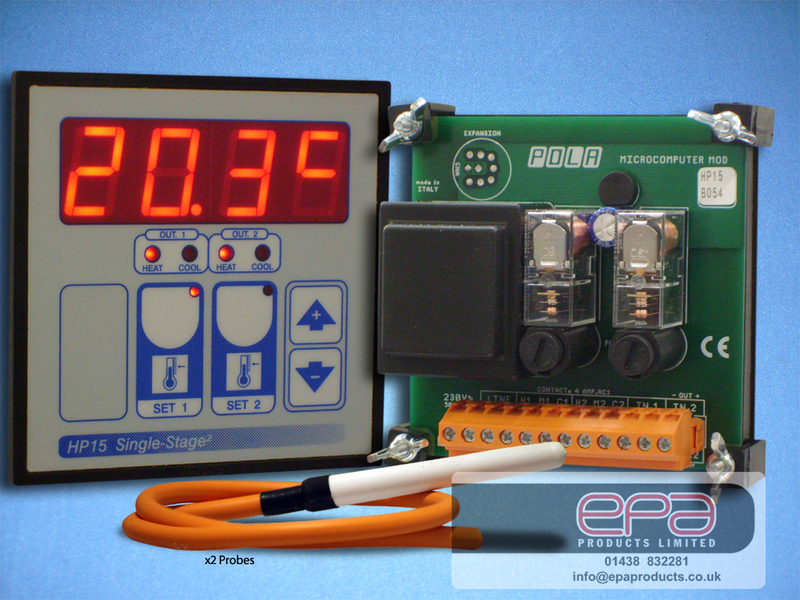 Proportion controller For Air Inlet Control, Staged Percentage Open / Close. 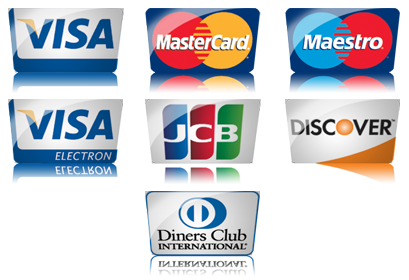 Maximum of Six Levels. Easy calibration to a remote 1K potentiometer (not supplied). This is a 4 stage control for sequential switching ventilation fans and heating control used, in applications such as poultry houses. 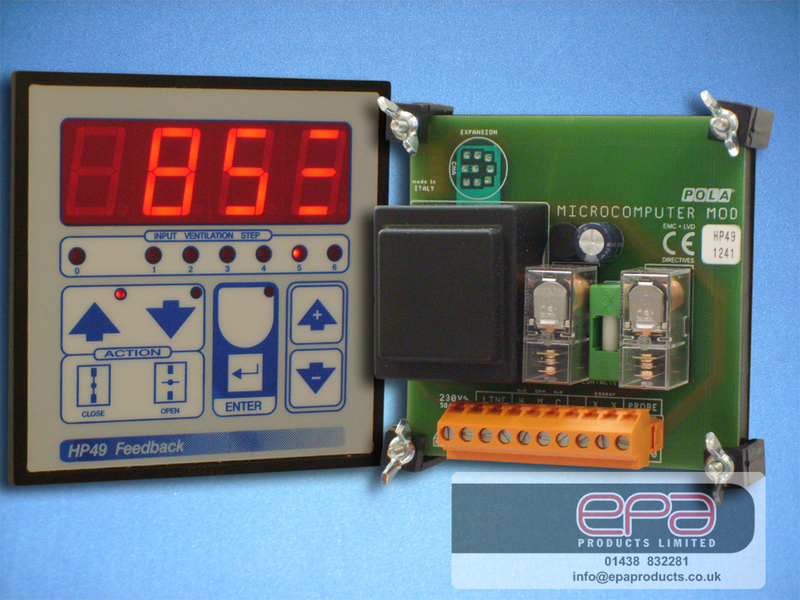 Programmable for step or sequential control. Inbuilt cycle timer operating provides minimum ventilation with easily adjustable on and off times (adjusted time seconds). 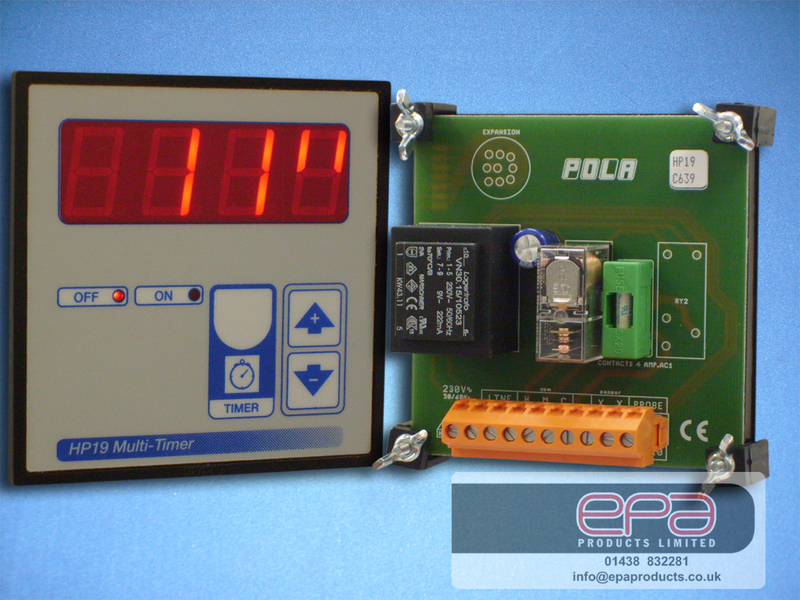 Programmable for step or sequential control. Example of use: poultry houses. Optional addition of the HPAL relay module,will expand the HP54 operation for high /low temperature alarm protection and cooling relay output. 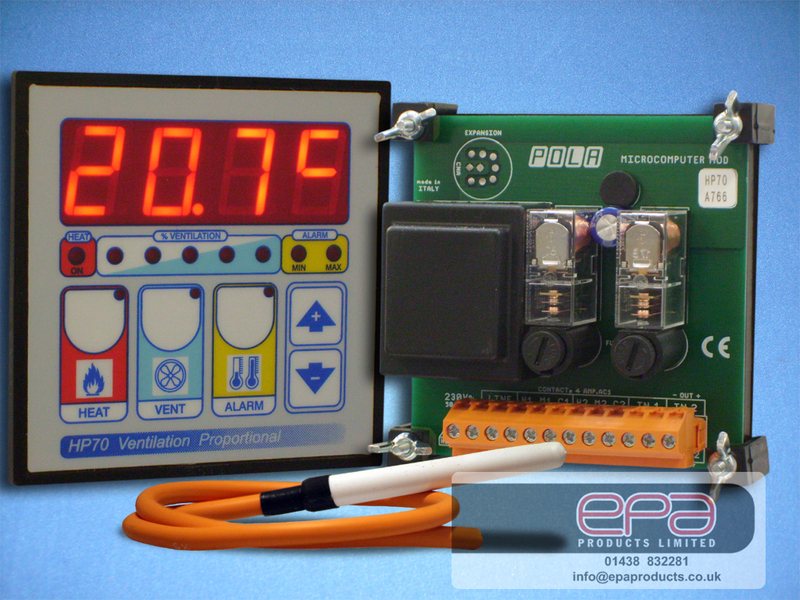 This is a 0-10v proportional ventilation control with heating and high and low alarm relay outputs. Indicator lamps show output condition of each zone. This is a 6 stage control for sequential switching ventilation fans and heating control with the addition of an HPAL. Used in applications such as poultry houses. Programmable for step or sequential control. Inbuilt cycle timer operating provides minimum ventilation with easily adjustable on and off times (adjustable time seconds). 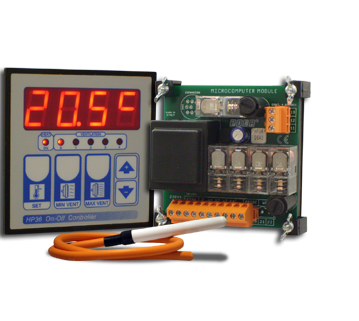 Fitted with Min / Max Temperature Recorder. Adjustable ventilation step on delay. Optional addition of the HPAL relay module will expand the HD38 operation for high / low temperature alarm protection, and heater relay output. 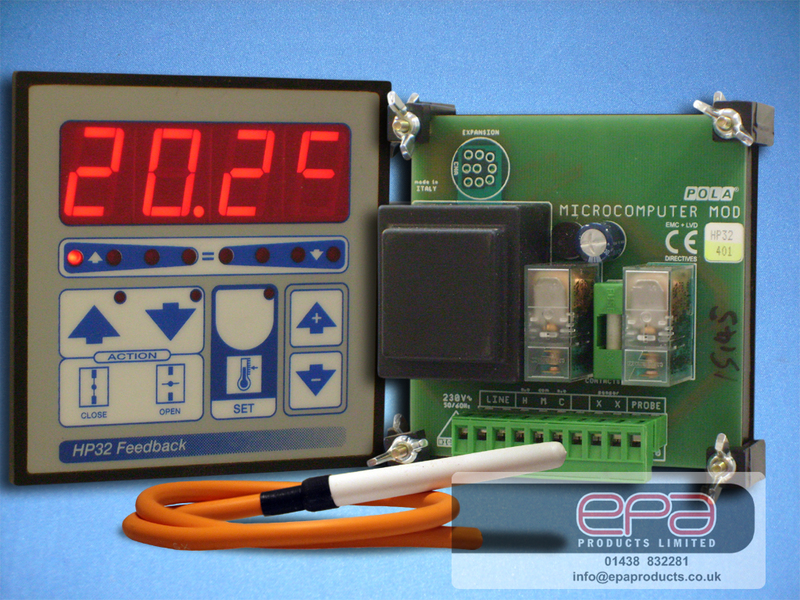 Very easy to set up and use with large 20mm display makes for easy reading by the user. 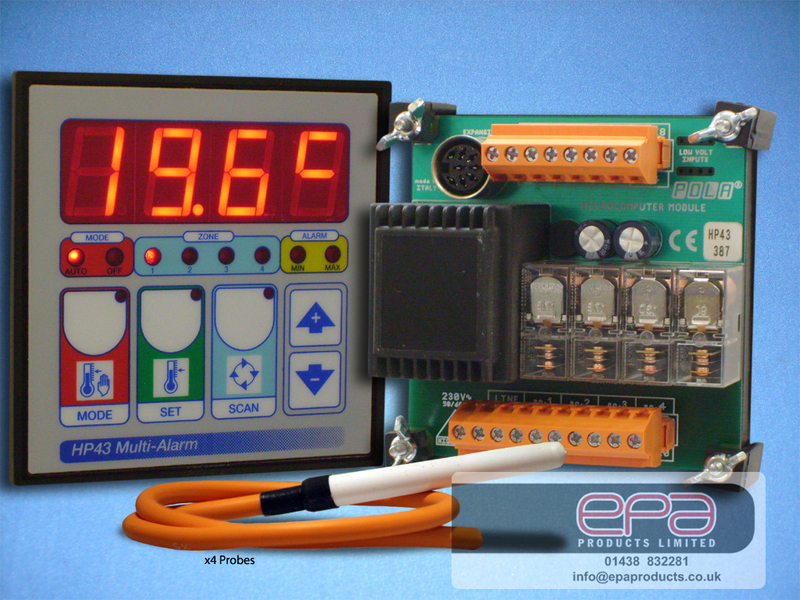 Power supply 230V +/- 10% 50Hz +/- 20%.